I referred earlier to the ban on smoking in public places and the legislation enabling gays and lesbians to form civil partnerships. These are significant developments in the public’s understanding of contentious issues and changes in public policy codified in legislation that I never thought I’d see in my lifetime. It’s instructive for the animal rights movement to look at other social movements and their organizations to learn how these and other changes in public policy were accomplished. Similarly, Stonewall, a relatively new organization founded in 1989, develops ideas and policies to remove discrimination and improve the lives of lesbians, gay men and bisexual people. Stonewall’s accomplishments include, for example, equalizing the age of consent, lifting the ban on gays and lesbians in the military and civil partnerships. Both ASH and Stonewall place more importance on public policy and legislation than most animal rights organizations do. Even though they each have their own personal transformative moments (e.g., the commitment to stop smoking and coming out of the closet). 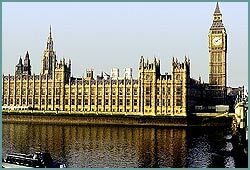 Why haven’t the animal rights movement achieved more in Parliament or in other elected bodies? The answer lies in our obsession with strategy to foment personal transformative moments or Stage 1: Public Education. When we frame an issue as a political one we expand the strategy from Stage 1, Public Education, to Stage 2, 3 and 4 (Public Policy, Legislation and Litigation respectively). We, in the words of Lord Houghton, “go to Parliament.” The Hunting Act became law because there’s been a multi-decade effort to put animals into politics at general elections since 1976. This included securing manifesto commitments from the political parties. Consequently, hunting became a political issue. This is in contrast to other animal issues that are not considered a matter for public policy, including the breeding of so-called pedigree cats and dogs and the government’s lack of promotion of a vegan diet as a healthy lifestyle. Build alliances with non-animal rights organizations, civic groups, professional associations, businesses, NGOs, etc. Finally, I want to make one more suggestion. We need a think tank committed to creating the political ideas and hosting the policy debates to make the moral and legal status of animals a priority in British politics. To conclude the only way to respond to the animal rights challenge is to, first, understand how social movements advance their mission from obscurity to acceptance, and, second, implement a strategy balancing a vegan utopia with the pragmatic politics of the possible. Then, and only then, will animal rights become a mainstream political issue and we will be in Parliament.